Bypass valve with built-in shut-off for supply and return lines - angle type (piping connects to the radiator from the wall behind it). 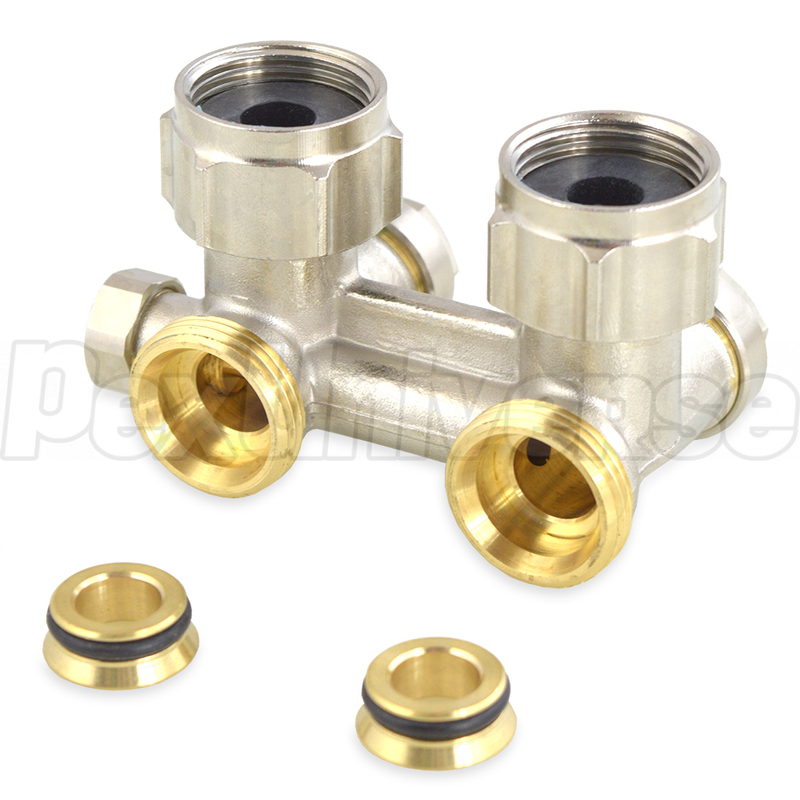 Intended for use exclusively in 1-pipe systems (supply and return are the same pipe). 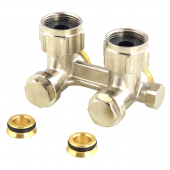 Not for use in 2-pipe (separate supply & return) or dedicated/home-run piping configurations. Bypass ratio is adjustable.